Yoga simply means "Union". "Union of the Mind Body and Spirit". The aim and essence is to reach the non- dual status leading to the bliss. Yoga is a spiritual way of synchronizing your own self with the universal self and realizing that you are ONE with the whole. Yoga has long been known to be a great antidote to stress. Yoga has the power to calm the mind, enhance your concentration and give you the ability to cope with tension with grace and ease. Yoga combines many popular stress- reducing techniques, including exercise and learning to control the breath, clear the mind, and relax the body. With Yoga becoming more and more internationally known, people are beginning to understand and accept the benefits this ancient practice brings to their stressful lives. •	REDUCES stress – reducing cortisol level and promoting better metabolism. •	OPTIMIZES hormones – through more balanced secretion of hormones at central and peripheral levels. •	IMPROVES lymphatic circulation – helping you get rid of toxins in the body. •	Creates more AWARENESS – making you more aware and alive to your real potential. •	PROMOTES healthy lifestyle thus leading to more balanced life. •	BALANCES energy by activating the energy center (Chakras) bringing stability to all areas of life. Conducted by : Ms. Shobanna Pisharody, Certified Yoga Master and Healer..
Obesity is a chronic health problem that has become a worldwide epidemic. Furthermore, rates of obesity are increasing at alarming rates due to increasingly sedentary lifestyles combined with easy access to cheap, tasty high fat foods. Stress is another common factor that causes people to indulge in emotional eating binges. Yoga is a known stress buster, but it's also one of the most effective workouts for burning stubborn fat. Studies show that yoga lowers levels of stress hormones and increases insulin sensitivity—a signal to your body to burn food as fuel rather than store it as fat. Yoga poses for weight loss will help to firm up your body. Healthy weight management includes a balanced exercise program combined with balanced diet. Practicing Yoga is a great way to increase your metabolism, strengthen your muscles and tone your entire body. There are many different types of Yoga practices. Yoga sessions are not only restorative and relaxing in nature but they are also help to burn more calories. Regular practice of Yoga sequences is very effective in losing some weight and trimming your waistline, while maintaining good muscle tone. Yoga helps in regulating your hormones which is crucial for weight loss. •	Do you struggle to lose weight easily? •	Do you have difficulty keeping up your motivation to lose weight? •	Do you constantly think about your weight and yet can do nothing about it? •	Are you unable to change your lifestyle? •	Do you want something to change inside of you to lose weight and keep it off? Lose weight in a healthy systematic manner with a combination of Yoga and learning to control your eating habits by strengthening your mind. This specialized ‘Mind & Body Weight Loss program’ is the one for you and is exclusively designed to meet YOUR needs. Dates: Three days a week (12 classes per month) Flexible timings 1.5 hours including dietary advice and weekly meditation for weight loss. The Reiki Master-Teacher Training is for those students who are spiritually and emotionally ready to take the big leap. It is one of those rare opportunities that knocks at your door only when you are ready for ascend to a Master/Teacher level. Students should be serious about becoming a major source of Universal Energy Healing. You should have been practicing Reiki regularly to ensure that you have a thorough understanding of how Reiki works. Becoming a Reiki Master/Teacher is a serious step that must be preceded by necessary preparation. Being a Reiki Master/Teacher implies that you will be able to initiate others into Reiki. In Master/Teacher Level training, you are attuned with all the symbols. The attunement into the Master’s degree advances and refines your own energy so you become a wider channel for Universal Life Energy. Reiki master/Teacher attunement supports your spiritual growth and enhances necessary changes in your life allowing you to let go of any old patterns and beliefs, freeing yourself from mental, emotional and other negative blockages. Attunement to the third degree is a very powerful and profoundly moving experience. With this attunement comes a great deal of contact with your own higher self and other levels of your being. In addition you will most likely also find yourself in communication with many new levels of those you work on, including their higher self. The attunement greatly opens up one's third eye and crown Chakras. Once a person attains this level and becomes comfortable using it, there is little that they will not have access to or be able to accomplish. It is, simply put, that powerful. The Master/Teacher attunement further empowers you and allows a feeling of gratitude to enter your life and enrich you. You are taught how to conduct classes and carry out attunements for others. After this Reiki course, you will deepen your Reiki practice even further. 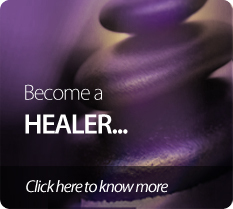 You will be certified to teach and spread the Usui System of Natural Healing. Course Prerequisite : You should have completed Reiki level I, II and Advance Reiki Training. Please note it is mandatory to complete ART (Advance Reiki Training)through Cosmic Healing Center. Dates: March 29 and 30, 2019 + 1 Practical Day! In Vastu Shastra (Advanced) follows the science of Vaastu which provides peace, prosperity and progress to the owner as also the inmates. This happy admixture of ancient heritage and modern science can go a long way in reviving this edifice science. In nutshell " Vaastu" lays down principles for construction of the houses, commercial buildings and industries etc. Which harmonies with the neighborhood, nature and the entire universe. Conducted by : Dr. Ssrija Nair, Certified Vaastu Consultant | Trainer & Healer. Ssrija holds a Master’s degree from India on Alternative Medicine and is a qualified practitioner of Pranic Healing, Theta Healing, Pyramid Healing, Magnetic Healing, Divine Healing and Reiki. What makes her training more effective is her years of successful practice as a healer and her awareness of the various energy healing modalities. BE Your Own Life Coach! Are You ready to make a successful change in Your Own Life.. Then this Certified Course is for YOU! •	What to expect when Managing and Coaching Own Self. •	Identifys Your Want and Why what you want is relevant and important. •	Demonstrates to create practical plans and manage these plans to get what you want and need. •	Identify the negatives in life that hold you back and how to stay on track with your goals. •	Describe how effective life management can help your vocational living and your career. •	Define the concept abundant living and learn to apply it to your life. •	Describe methods you can use to manage your finances. •	Define healthy relationships and how to create and maintain them. Course Prerequisite : A strong Mind to shift Your Life to Success! Conducted by : Dr. Ssrija Nair, Life Coach | Psychologist | Healer | Trainer. Have you been experiencing some negative patterns that seem to be repeating itself in your life, going through sufferings for no apparent reason, attracting the wrong kind of people into your life, being in an abusive relationship and not being able to break free, and so on… Are you eternally on the search for your soul mate? Do you have some unexplained fears and phobias that hold you back? Seemingly or supposedly having everything perfect in your life, but still feeling lonely and sad. What messages do you think the universe (or your subconscious) is trying to send you with this pattern? What are you going to do about these messages? We all carry memories from past lives into this life, unconscious memories with a strong energy that affects us. They can be things left undone, vows made, accomplishments, failures, mistakes, success, emotional debts, guilt, gratitude, traumatic and sudden deaths, wisdom, and love. These energy charges from the past set up patterns which are continually triggered and repeated in our present life. The patterns can be positive or negative. They can affect our relationships, behaviors, motivations, and even our physical body and health. •	And use this insight for 'reprogramming' the mind, changing relevant behavior and reframing life. Regression therapy teaches procedures that typically help us to induce changes in the state of consciousness by taking us towards expanded states in which we can tap into the hidden tunnels of time realms and then change the quality of the inner experience either quantitatively or qualitatively, and give Life a new meaning and direction. The two day training course explores an in-depth understanding of the mind and how memories are stored or repressed and the impacts of these memories in our lives. It gives an insight into a lot of the unexplained occurrences of life. It provides a good rationale for the inequalities and sufferings of life. It also gives us insight into our many individual differences and helps to identify the core reasons for problems in relationships. It very clearly demonstrates that you are the master of your own destiny. Once you understand this you will be able to see and understand the larger patterns of life within your own individual circumstances. It teaches various methods of making these memories conscious, releasing the blocks and reprograming oneself and releasing the patterns that no longer serve us, freeing us to live more fully in the present. Regression therapy is the process of healing the mind, body and soul by healing the past. Conducted by : Ms. Shobanna Pisharody, Certified Reiki Master | Teacher, Master | Teacher in Magnified healing, Hypnotherapist and Yoga Teacher and Healer..